An all new London Classic Car Show. So what can we expect? Hey all, there’s a new classic car show for 2015. The London Classic Car Show will be held at London’s ExCeL centre from 8-11 January, 2015. The organisers promise that it’ll be an event rather than just an exhibition. As well as gazing at some of the most desirable and valuable cars ever made, visitors will not only be able to hear them as they are fired up, but also to watch them in action – the centrepiece of the show is The Grand Avenue (see below), a motoring runway along which the cars will be driven. The London Classic Car Show is organised by Brand Events, the company behind the hugely successful Top Gear Live and CarFest events. The Grand Avenue is just one of the original ideas promised at the London Classic Car Show. 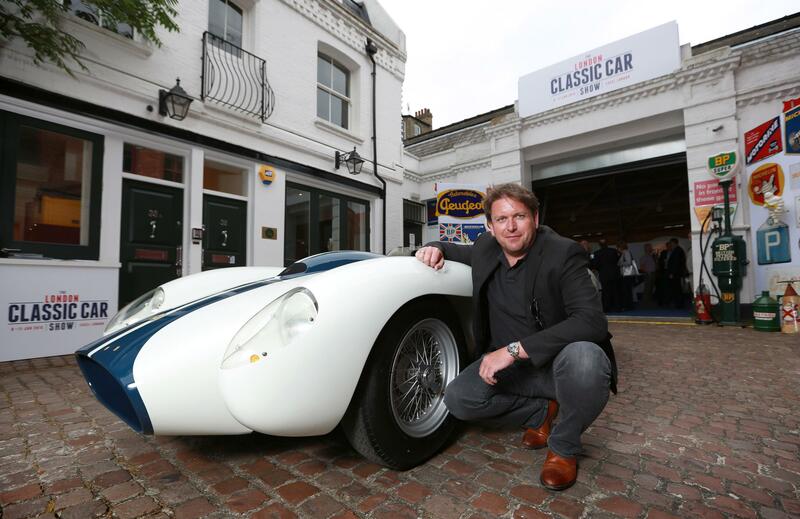 The James Martin Classic Café, run by the top TV chef, will serve quality food to visitors while James, a passionate classic car fan himself, has also been appointed as a show patron, charged with mounting a display of cars that mean the most to him. As a result he will be showing ­– and driving – some of the cars from his own private collection and those of friends. Among those promised are a rare Ferrari 288 GTO and a glorious 250 GTO as well as a number of important Mini-Coopers. Another famous name with a key role is BBC Top Gear’s James May, who will be curating a display of the ‘Cars That Changed The World’. Expect a few surprises… it won’t be all Model Ts and VW Beetles. There will also be motor sports displays, a homage to the Citroen DS, 60 years old in 2015, and an investors’ forum where experts will advise on how and what classic to buy as an investment that will provide much more fun than stocks and shares. Event Director Bas Bungish said: “Although we have only just announced the show, we have already been promised huge support from a number of key players in the automotive and classic car worlds. We see this as a celebration of the car and are encouraging manufacturers and their one-make car clubs to get together to put on displays from the past, present and possibly even the future. Further information about the Show – and the team behind it – can be found via the TheLondonClassicCarShow.com website. Personally we cannot wait. See you there! Watch this space, we hope to bring you a competition to win yourself a pair of tickets.